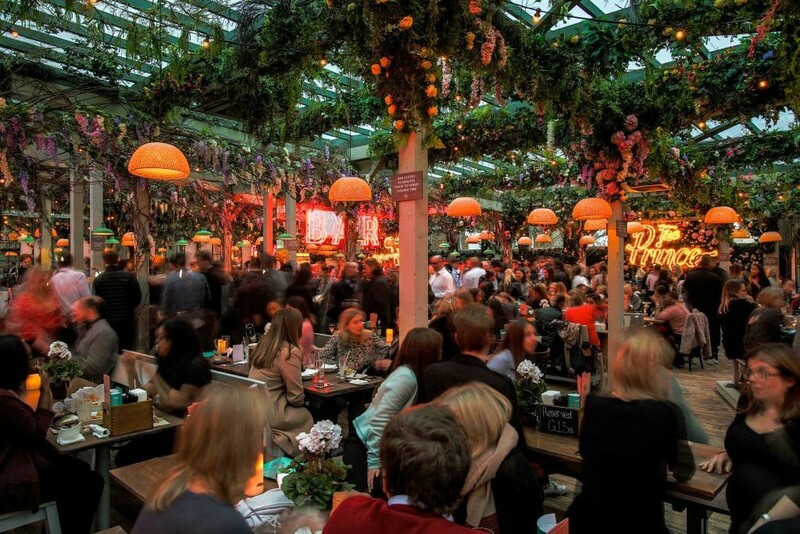 Amongst London’s drinking and dining hubs, The Prince is absolute royalty. At The Prince, teamwork really does make the dream work. 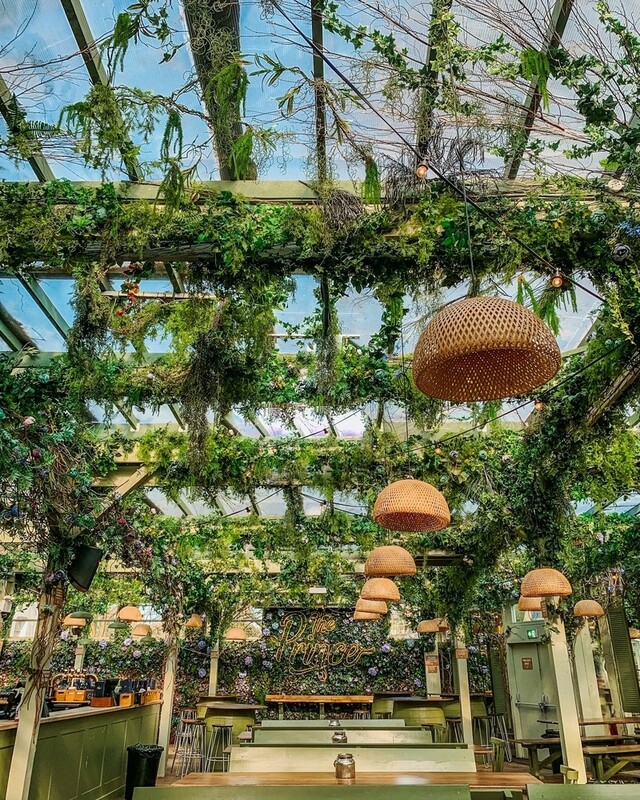 From the outside, it may just seem like an unassuming Victorian pub but, on the inside, it’s a giant foodie hub that takes up almost an entire street, after developers merged a series of adjacent restaurants, and created an enormous beer garden shared between them all. 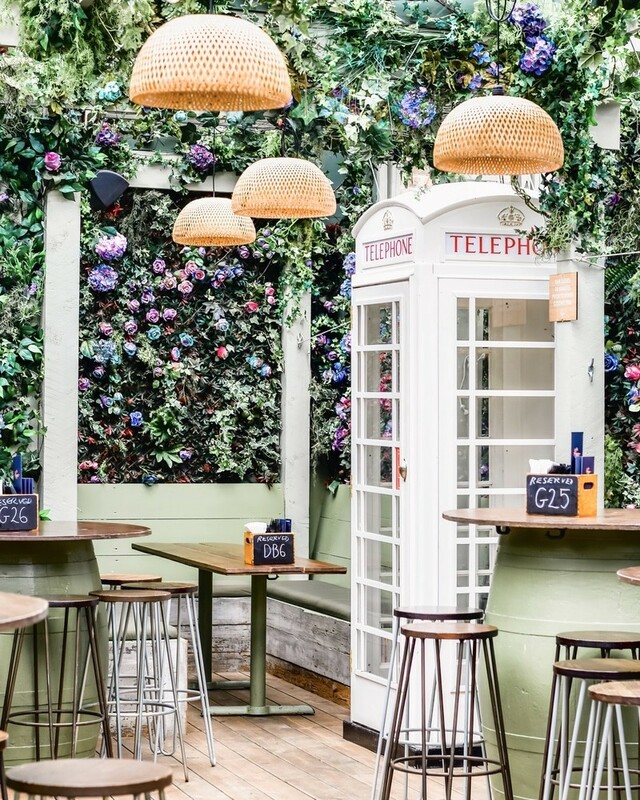 The buzzing west London venue has now undergone a beautiful summer makeover, turning it into a flower-filled English garden. 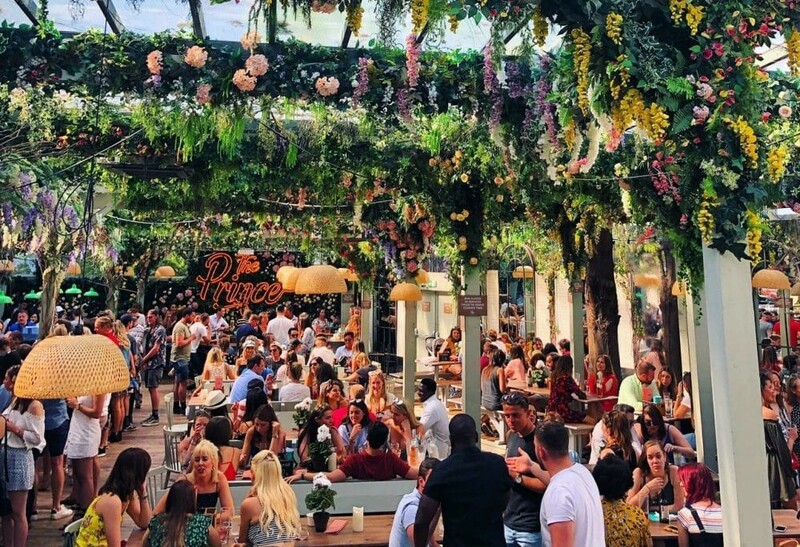 And, as it’s from the team behind Pergola on the Roof and Pergola Paddington Central, you know it’s going to be good. Crewing The Prince’s restaurant spaces are burger bosses Patty & Bun and the pizza pals of Homeslice. They’re joined by Jefferies, a new fried chicken venture from the Patty & Bun team, and EDū, who bring a fresh approach to Spanish cooking in the form of hot dogs, burgers, and tapas-style dishes. 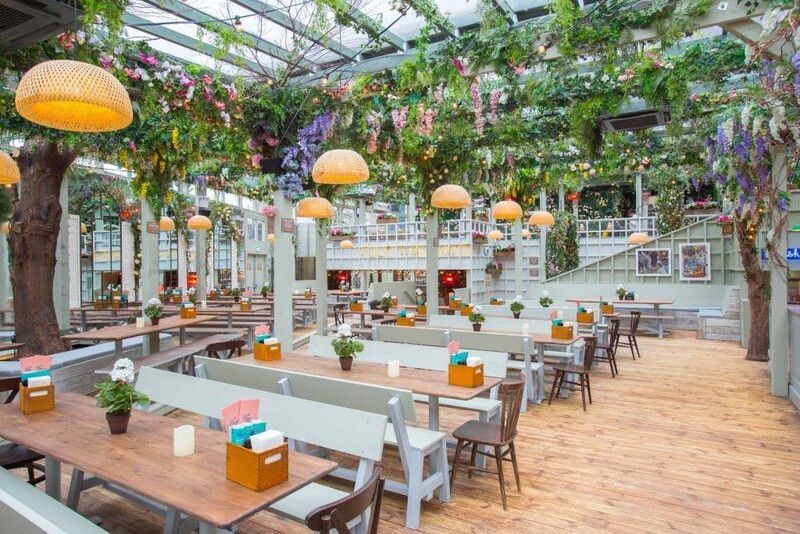 Everything comes together in the covered English garden out back, featuring a retractable roof that’ll overcome the pesky British weather. Draped with seasonal flowers and foliage, it’s a pretty magical setting for an evening session, especially given that the season cocktail menu boasts that most wonderful of summer drinks — Frosé (frozen Rosé to the uninitiated). Location: 14 Lillie Road, SW6 1TT. Nearest station is Earl’s Court. Find it on Google Maps. Opening hours: Monday 12pm–10pm, Tuesday to Thursday 12pm–11pm, Friday 12pm–11.30pm, Saturday 11am–11.30pm, Sunday 11am–10pm. Price: it’s free to book for up to 199 (!) people.